“AkzoNobel and Northumberland College have worked in collaboration to develop what we believe to be an apprenticeship scheme that will support future manufacturing excellence in our state-of-the-art facility,” said Jeff Hope, head of manufacturing unit at AkzoNobel Ashington. 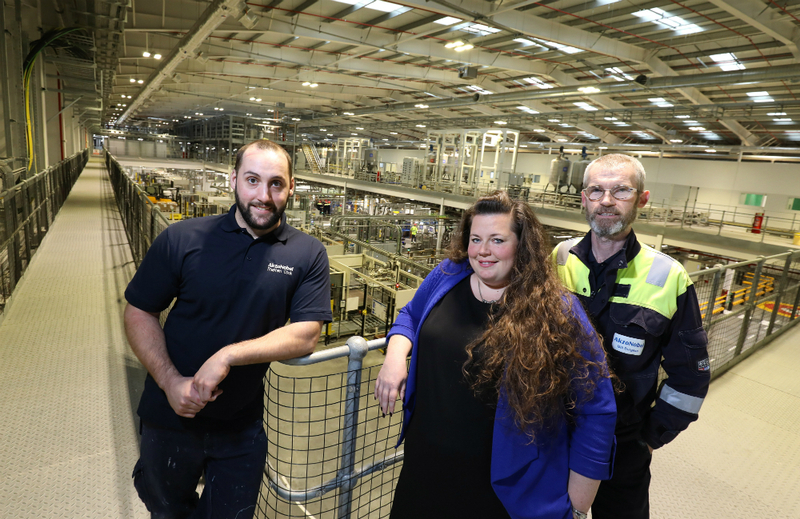 Existing operators at the site were chosen for the first run of the new Maintenance and Operations Engineering Technician Apprenticeship Standard which will see them becoming experts in their field from an operational, maintenance and engineering perspective. “Joining AkzoNobel Ashington while the site was still in its commissioning phase was really exciting,” Stephen said. Sara Sawyer, business development manager at Northumberland College, explained: “The new Maintenance Engineering and Operations Engineering Technician Apprenticeship Standard has given the college the freedom to develop a new programme that really embraces the need to train the next generation of engineers within their specialist roles without some of the limitations of previous curriculum programmes. This allows us to be much more flexible in working with local employers in addressing their skills gaps. AkzoNobel is the world’s leading producer of decorative paints and coatings. Famous for its household brands such as Dulux, Polycell and Hammerite, the company’s Ashington site is capable of producing paint in up to 33,000 different colours.